Why do our phones shatter? We’ve all accidentally dropped our phones and watched them shatter in apparent slow motion while we vainly grasp at the air or, worse, kick out a foot, only to propel the (now smashed) phone across the room. But why do our smartphones shatter, when your old Nokia 3210 would bounce around happily on concrete with barely a scratch? I had a drawer full of these, the iPhone 5 was an awkward shape. Part of the reason is that there is now a big screen that can shatter – the screen in a 3210 was only about 20% of the size of the phone, modern smartphones are nearly all screen. Another reason is that modern phones are slabs of glass and aluminium, made to feel heavy so they feel expensive compared to the cheap/flimsy/plastic versions that creak when you hold them to your ear. So is it all that extra weight that’s causing the issue? Well yes, that is a part of it. The Nokia 8210 is only about 1/3 of the weight of a plus phone, which means only 1/3 of the kinetic energy that must be dissipated when it hits the floor. Surprisingly though, the difference isn’t normally that stark – this modern droppable from Huawei weighs the same as a 3210! Part of the expensive feeling of a heavy phone isn’t actually the weight, it’s the stiffness: the phone doesn’t flex, so it feels more substantial. It also feels more substantial to the ground and does not flex elastically (i.e. bounce back) as readily when struck or dropped, compared to a thin plastic shell. 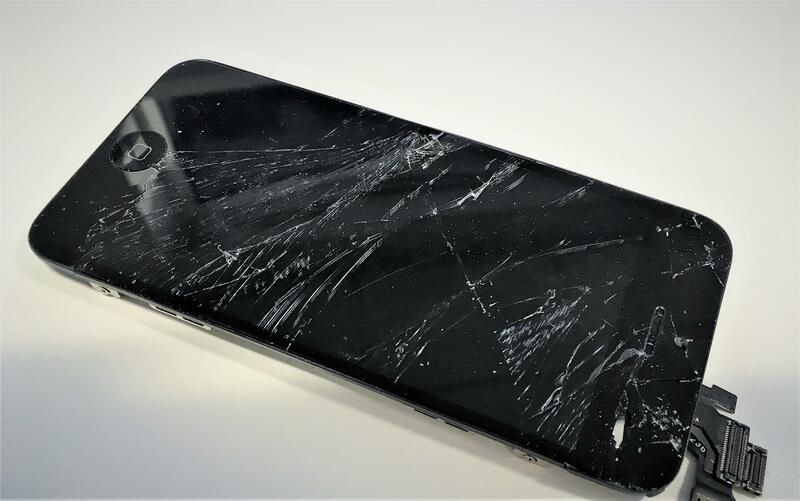 If the structure cannot flex, the energy is then dissipated locally, typically as cracks in your screen or dents in the aluminium chassis. Below is a short clip from a study of different designs of bumper for our subsea mooring connector. You can see how the different structures absorb energy very differently, one flexes like bamboo in the wind, the other results in a dented dome. So, which is better? Lighter and more flexible is often a desirable outcome for the simple reasons of less material, less cost. However, structural integrity and interfaces with adjacent objects can often be the deciding factor. In the above case, where the bumper is just a bumper, the overriding design factor is the interfacing geometry during and after impact. We can tolerate a dent in the dome and it is covered by a flexible urethane coating, so this is acceptable. The first case shown has large lateral deflections, these will impact the working parts of the connector so must be avoided. I’m off to buy a phone case. Got a comment or correction? Here’s the post on linkedin.